Mark Pisano is a professor of public administration at the University of Southern California Sol Price School of Public Policy. 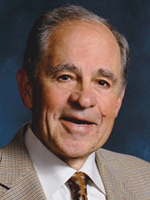 For 31 years, he served as executive director of the Southern California Association of Governments (SCAG), the nation’s largest regional planning agency. He is the author of The Puzzle of the American Economy, which describes how demographic transformations will place a drag on economic growth and increase stress on public budgets. This is part two of four columns on what these changes mean for California's future. To advance the triple bottom line in California – boosting prosperity, equity and sustainability – state policies need to be grounded in the demographic trends that are hobbling traditional policy solutions. As the population in California (and the nation) grows slower and older, consumption slows, and in turn so does overall economic activity, personal income and public tax revenues. These trends are overshadowed by the daily attention to two seemingly contradictory trends – unemployment rates are very low yet wages for most people are stagnant or growing slowly. The slow rate of growth in the working age population helps to explain why unemployment is dropping to historic low rates and is likely to go even lower, despite sluggish growth in the state’s and nation’s GDP. It is not surprising that unemployment has dramatically dropped from over 10 percent to today’s lows. When the pool of workers slows, this is precisely what you would expect. Even more fundamental is the dampening effect on aggregate demand caused by this age demographic “penalty.” The slow growth of workers whose incomes are growing – but at a slower rate – and the accelerating growth of the older population whose incomes are declining also are creating a consumption penalty. Consumption growth is declining at about 15.4 percent per year and compounding annually. Last year the penalty was $228 billion nationally; a substantial amount was in California. Two-thirds of economic growth in the country comes from increases in consumption. Lower consumption of market goods and the subsequent declines in taxes contribute to the sluggish behavior in our states and in the nation’s economy. Some suggest that technology, and robots in particular, will address the shortage of workers. They might, but the roll-out difficulties may present problems and delays. Since robots are not consumers, they also could worsen the demographic consumption penalty. The cure will be worse than the illness. The California Economic Summit’s successful strategy of focusing on educational skills matched more carefully to the needs of the economy responds to the most powerful aspects of these trends. By seeking to retrain or upskill low-wage workers whose jobs are most vulnerable to automation, the Summit’s workforce strategy has the potential to enable more Californians to seek jobs valued in the new economy with commensurately higher wages. Our education community needs to be even more open to changing the contents of our educational skills to meet changing economic skill demands. Additionally, we need to extend our outreach to young adults who are not in school or employed and older adults whom society previously gave up on, and who consequently gave up on themselves. Simply stated, “no one living in our state is disposable.” Our current policies and laws, federal and state, were established assuming the reverse. Literally millions of people are considered unessential and are not part of the working population. Those in the safety net need better incentives and support to get back into the workplace. In the nation and in our state, growth in income from government transfer payments over the past 30 years increased from 12 to 16 percent and salaries of workers declined from 72 to 68 percent of working age population. Experimental initiatives like Fresno’s Bridge Academy should be expanded and federal policies modified to accelerate their implementation. This would be an ideal Economic Summit initiative. Over the past 30 years, one of the greatest drains from the working age population has been the increase in incarcerations and correctional supervision (over 6 million, mostly males). California has over 10 percent of the total U.S. inmate population. The U.S. has 40 percent of the world’s prison population. Revisiting both our policies and laws on sentencing, as well as how we educate those in prison for work, is low hanging fruit. Now and for the next generation, moving people from dependency and delinquency to productive lives will be an economic as well as a solution imperative. The current costs – in public dollars, lost income and missing workers – simply cannot be sustained. Finally, a strategic immigration policy, where California is already playing a leading national role, is essential. One note on attracting immigrants: the decline in working age population is a global challenge. 2016 marked the first time working age population globally did not increase and will decline by 5 percent over the next 20 years. This makes strategic immigration even more important. Increasing births by making it easier and less costly to raise children, and assisting women who are leaving the working age population may be the most effective long term strategy for us to pursue. The Economic Summit should consider a goal of increasing the working population. Only if we do this it is possible to increase jobs.